Good morning!! 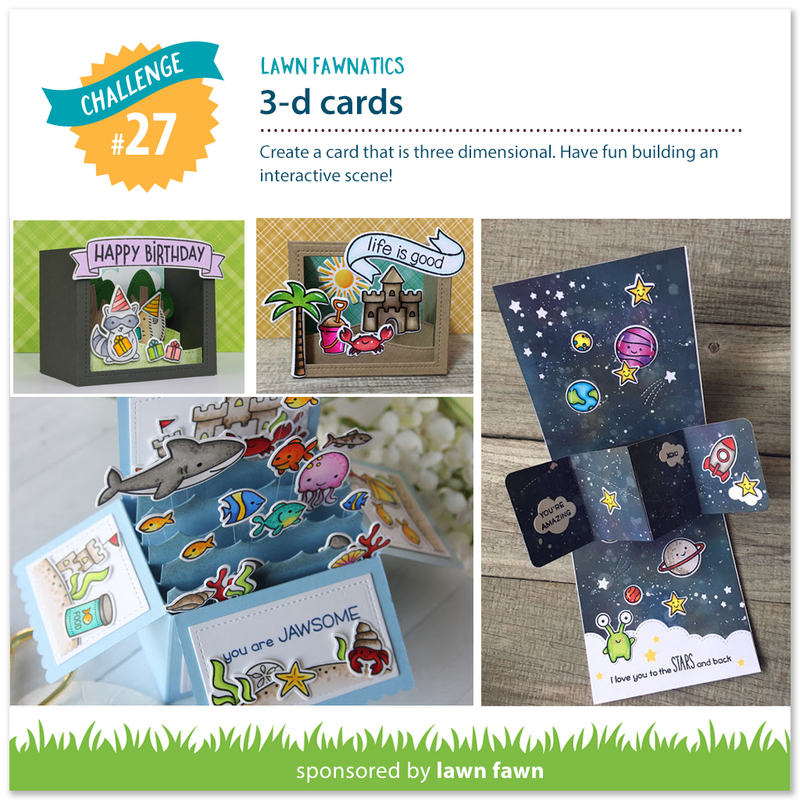 It’s time for a new Lawn Fawnatics challenge and we’re challenging you to create 3-dimensional cards! This is, hands-down, my FAVORITE challenge so far! It’s springtime (finally) in northern Virginia and the cherry trees are in full bloom in DC! 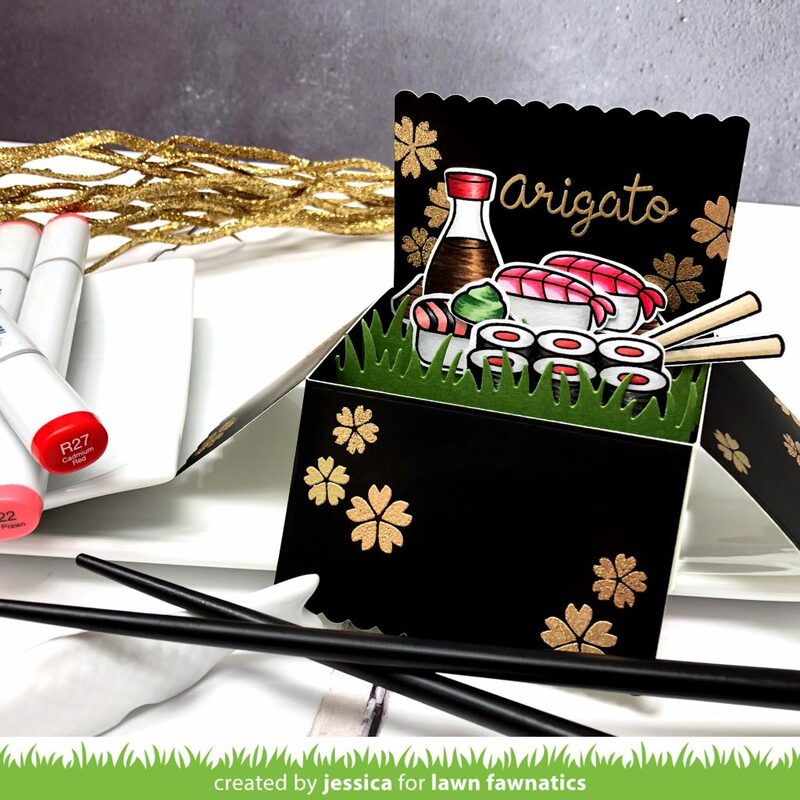 Growing up in Japan I have fond memories of eating sushi under the cherry blossoms in springtime so I decided to use that as inspiration for my card. I tried to create the look of a Japanese lacquerware bento box! 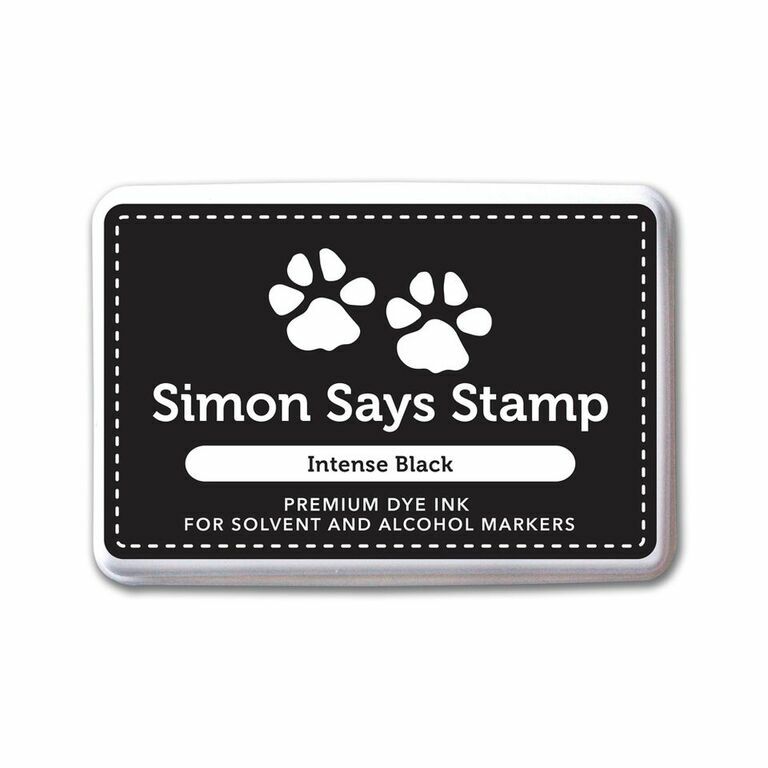 To start I die-cut the Box Card Pop-Up die twice from satin mirror black cardstock and cut about an inch off the bottom of the box to create a squatter box card. Then I stamped the sentiment and cherry blossom stamps across the box flaps and heat-embossed them with gold, gold tinsel, and brass embossing powders for a sparkly metallic design. 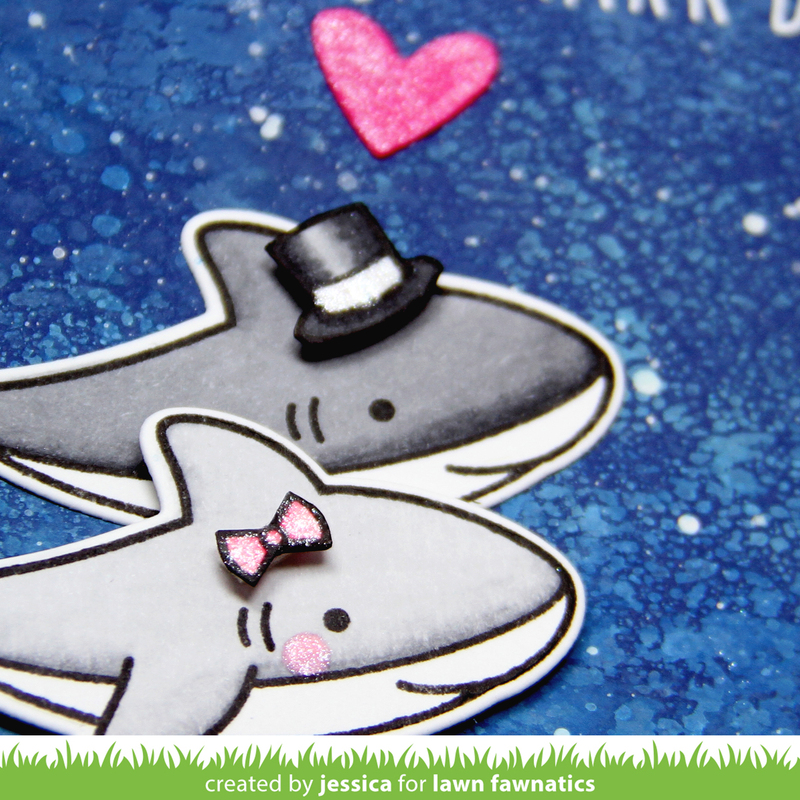 Then I stamped the cute sushi from Let’s Roll and colored them with copic markers before die-cutting them with the coordinating dies! 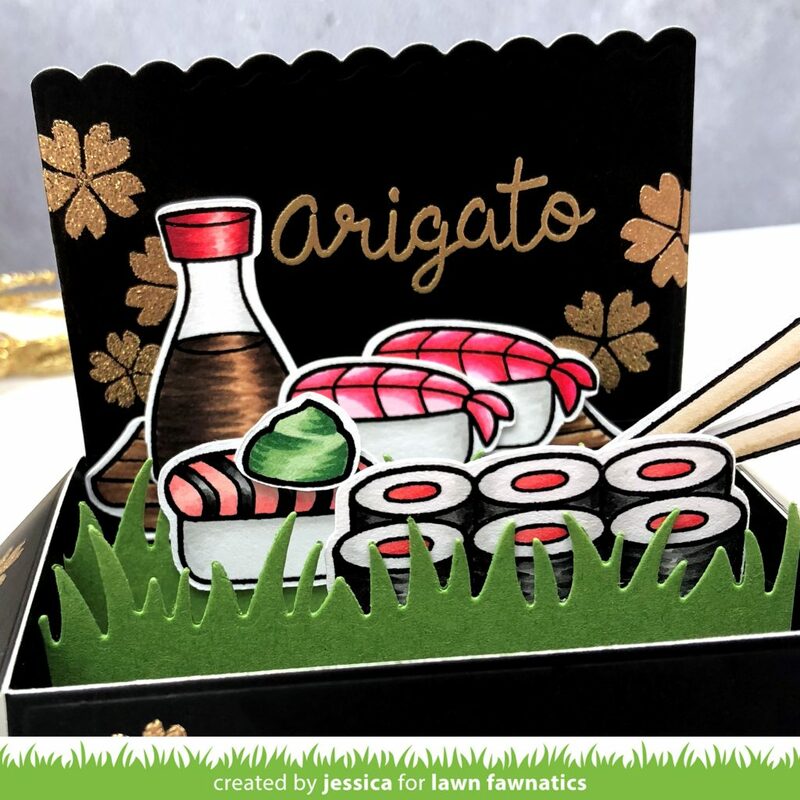 I also die-cut green cardstock using the Grassy Borders to look like the plastic grass that’s placed in a bento box to divide sushi! 😉 To assemble the card I just adhered the grass first and then built up my scene with all of the different elements! And now it’s your turn! 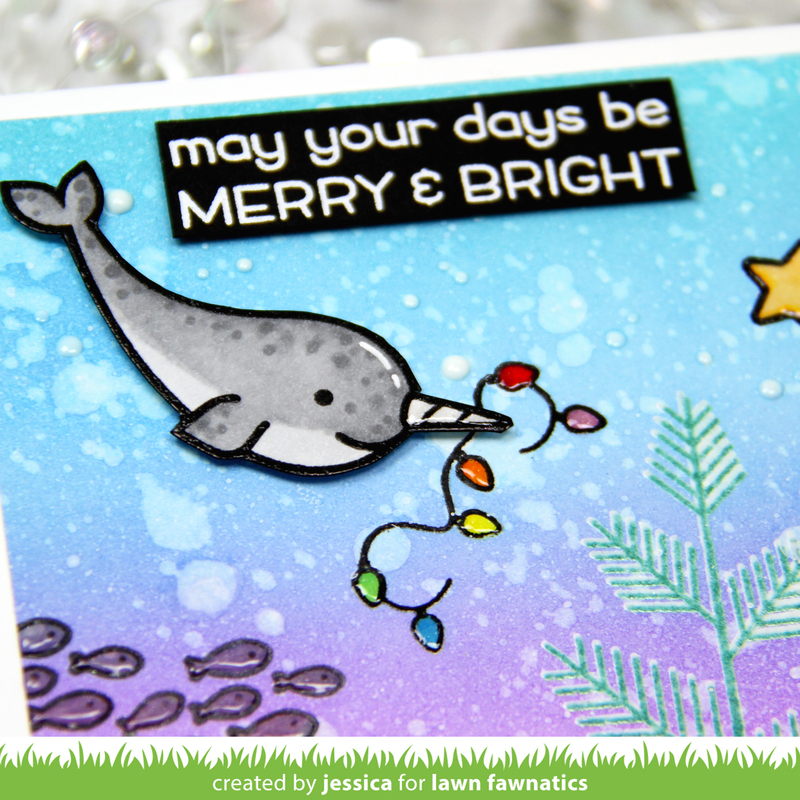 I can’t wait to see what card sets you create!! 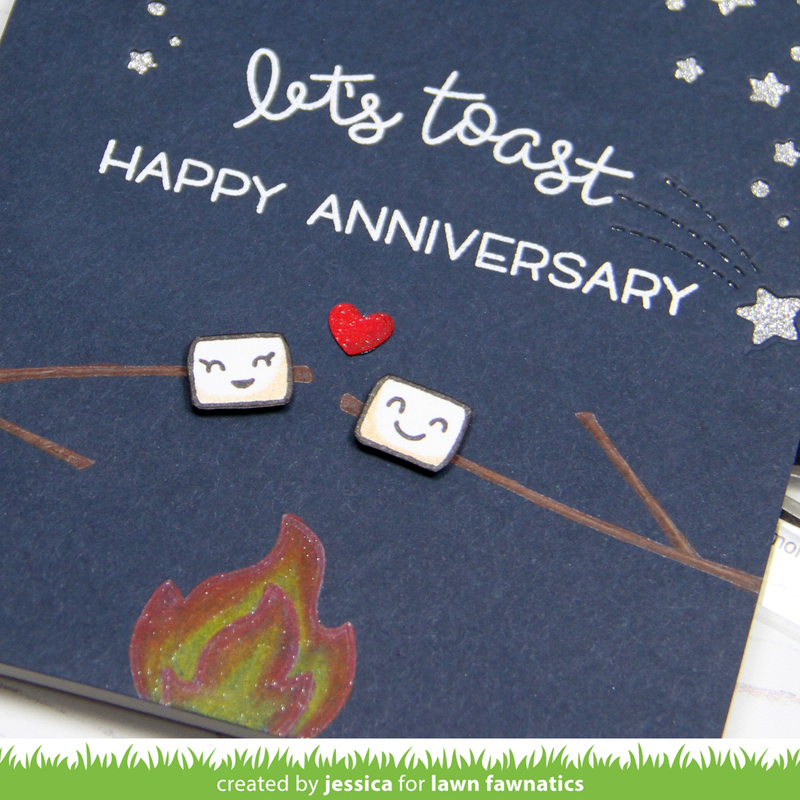 You can link up your entries on the Lawn Fawnatics blog! Thanks so much for visiting and have an amazing day! Your “arigato” box is spectacular!